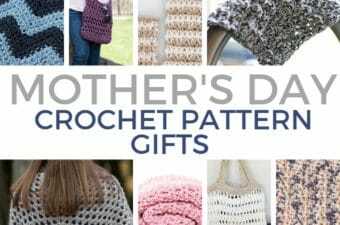 Use the free hotpads pattern below to crochet an easy and quick gift! Great as a housewarming or just because gift! 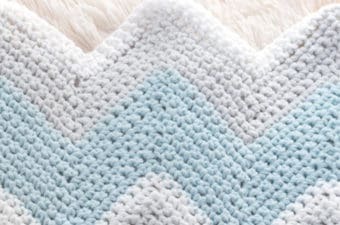 The Yarn that’s perfect for hotpads! I had some leftover cotton yarn from other projects so I decided to use that up and make some hot pads!! I held two skeins together at the same time to make these thicker and sturdier. I used Lily Sugar ‘n Cream in Grape, Soft Ecru, & Hot Blue. 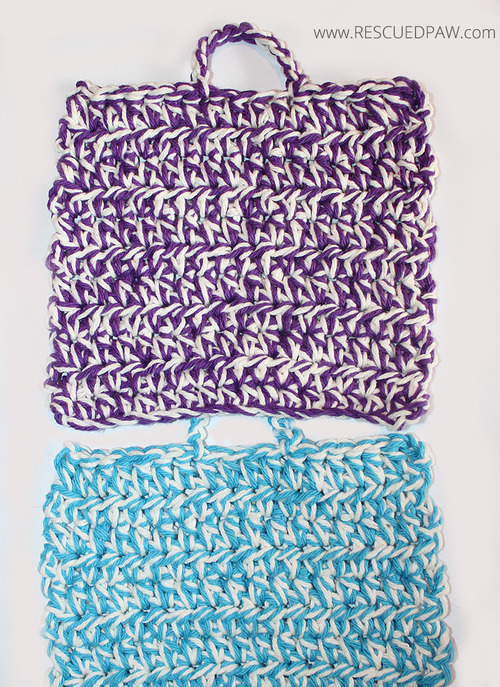 The Soft Ecru color was used with both hot pads while the Grape & Hot Blue colors were alternated. I also used a Size J Crochet Hook and a yarn needle to weave in the loose ends when I was finished. 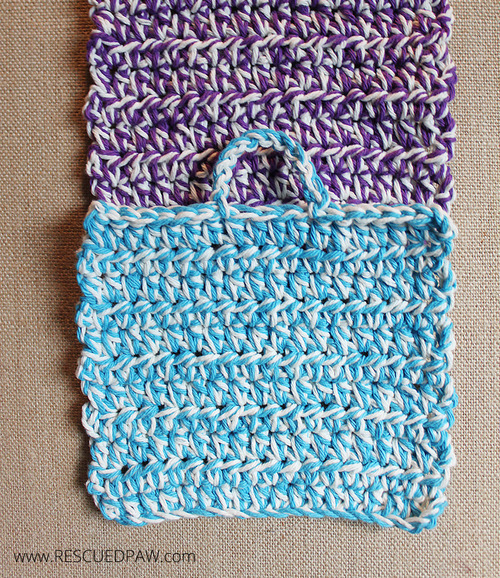 Hold two skeins of yarn together at the same time for the entire hot pads pattern! ROW 12: 7 SL ST, CH 12, SKIP 3 CH, 7 SL ST. 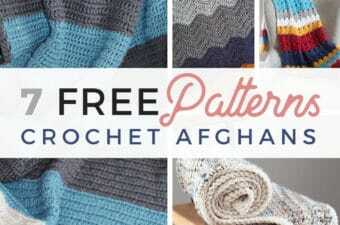 Tie off and weave in loose ends with a yarn needle! 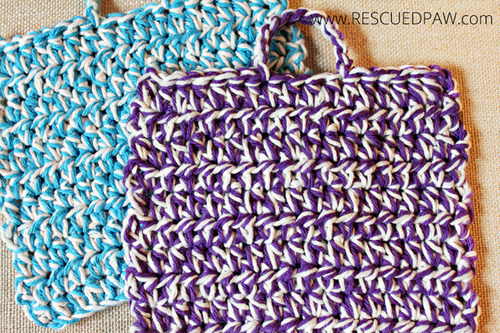 Now enjoy your new crochet hot pads for the kitchen! 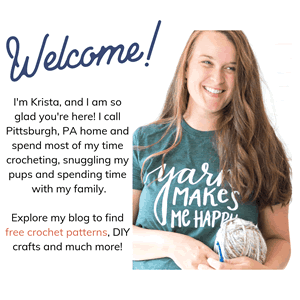 I hope you liked this crochet hot pads pattern and if you have any questions please feel free to ask! If you want more inspiration you can follow me on Pinterest HERE! !